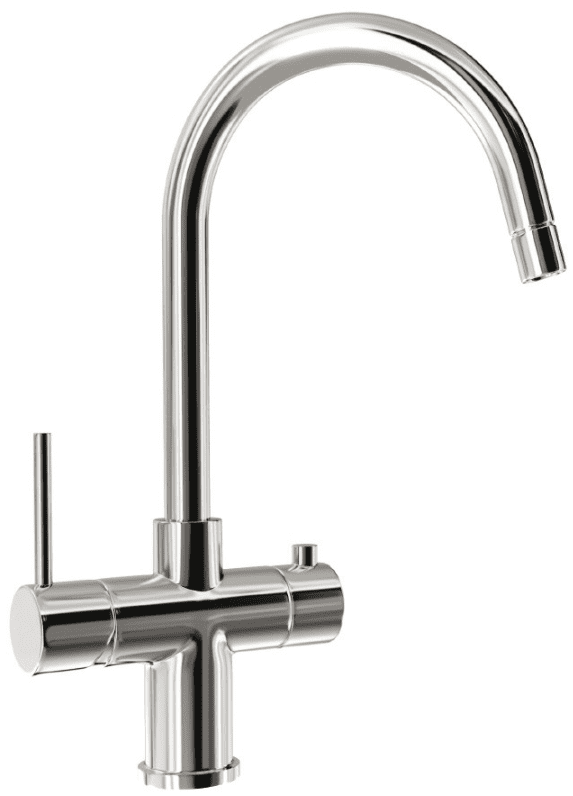 The Seraphina 3-in-1 boiling water tap provides instant hot water at the touch of a button, negating the need to wait on the kettle boiling. Seraphina provides normal hot and cold water as well as boiling water, all from the same unit. Why waste electricity and water boiling the kettle when you can have instant boiling water for making coffee, tea, or for cooking on tap? Seraphina incorporates a water conditioning filter, ensuring your boiling water is free of sediment and odour and any unwanted particles. Seraphina requires the activation of a safety button to operate the boiling water function, ensuring safety for users. Please be aware of your water pressure before purchase. If your water pressure is too low, the installation of a pump should be investigated. If your pressure is too high, the inclusion of a pressure reducing valve (not supplied) in the system will be necessary. 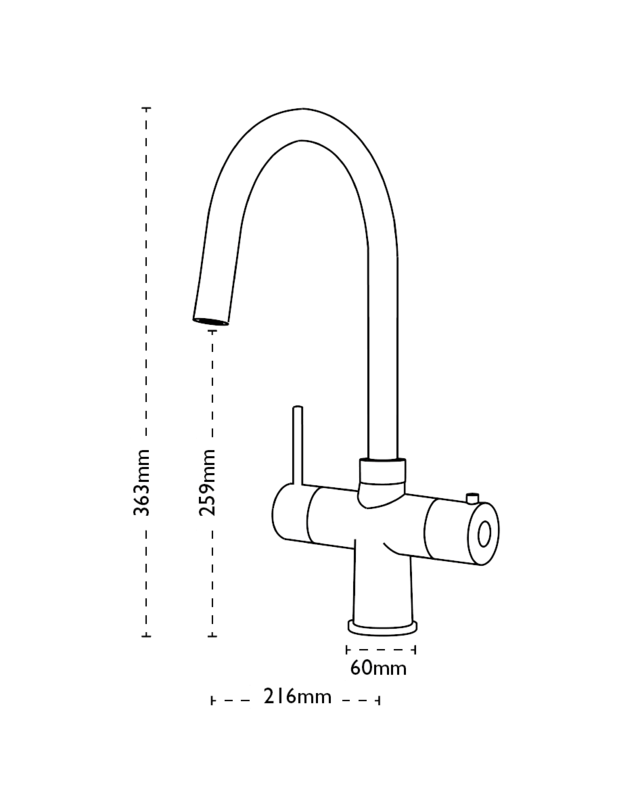 NB This tap requires a minimum operating pressure of 1.5 to 5 bar.